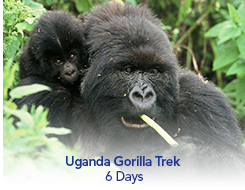 On this tour you arrive in the capital of Uganda, Entebbe and following are transferred to Bwindi Impenetrable National Park for your exciting encounter with a wild Gorilla family. 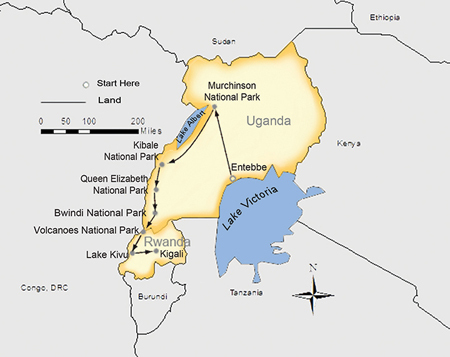 Also included is a visit to Queen Elizabeth National Park. Arrive in Entebbe, Uganda, where you are met and escorted to your hotel.